Need, comfortable, quality women's or men's shoes at affordable prices? With a Hotter Shoes discount code you can enjoy great prices on a wide range of both formal and informal footwear. Whether you want a pair of cool, comfortable sandals for the summer months, some smart high heels for a big night out or high-tech GORE-TEX walking shoes for tackling the great outdoors, Hotter Shoes voucher codes can help you make big savings while you shop. Hotter Shoes was founded in 1959 as a slipper-making factory by the parents of the current owners. In the early 1990s the company diversified, identifying a niche in the market for stylish, fashionable shoes with comfort built in. Using a combination of innovative thinking, hard work and a passion for perfection the brand has grown from shoe maker to international shoe business, with over one million Hotter Shoes fans over the world and new fans buying their first pair every day. As well as producing quality shoes, one thing that always wins a positive Hotter Shoes review across the board is the ability for customers to use Hotter Shoes discount codes to get fantastic prices when they shop. Produced in a family-run factory in Lancashire, Hotter Shoes are manufactured by a passionate and dedicated team who pride themselves on creating stylish shoes with comfort in mind. They look forward to the moment when each new customer enjoys their first 'Hotter Moment' – that wonderful feeling of sinking your feet into soft, cushioned comfort – and aim to deliver service that wows whether they're helping customers from their friendly call centre or carefully packaging shoes to arrive on your doorstep with care. Hotter Shoes have invested millions of pounds into creating one of the most advanced shoe-making facilities in the world, making more shoes per year than any other shoe maker in the UK. A continually evolving brand, they are constantly offering new products for their customers to try, listening to customer feedback to develop a range of products available to buy on their website at hotter.com and in their stores. 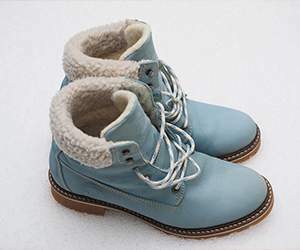 As well as traditional formal and causal footwear for men and women such as sandals, boots, slippers, heels and trainers, the company also offers a selection of men and women's accessories that translate the Hotter Shoes concept of comfort and style into gloves, jackets, handbags and more. The company also caters for more adventurous customers, with a range of GORE-TEX walking shoes and boots that combine the Hotter Comfort Concept with the technical features of the GORE-TEX Footwear System. At hotter.com you can browse all these and more in an accessible, easy-to-use shopping environment. And don’t just take our word for it – every positive Hotter Shoes review online is testament to the superior product and excellent customer service of this much-loved company. Want to get shopping with Hotter Shoes? With a Hotter Shoes discount you can make great savings while you shop. Whether you want to enjoy a night out in comfort with Hotter Comfort Concept high heels or you want some super snug slippers for cosying up on winter nights, Hotter Shoes voucher codes are ideal for anyone who wants to treat their feet without spending a fortune. Use Hotter Shoes voucher and buy more shoes! Browse our website to find Hotter Shoes voucher codes that suit you, then navigate to their website to begin shopping. Click on a product for more information, choose a size, fit and colour then click 'Add to basket' to buy. Enter your Hotter Shoes discount code in the box provided, then click 'Apply'. Don’t forget that you can save money with a Hotter Shoes promotional code! 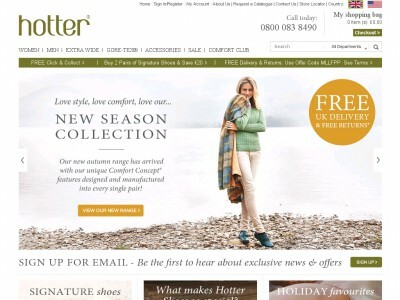 Want to find out more about the fantastic products on offer from Hotter Shoes? Why not check out the company's dedicated YouTube channel? You'll enjoy access to lots of exclusive content including product reviews and overviews, style tips, collection features and more. You can also use the channel to find out more about saving money with a Hotter Shoes discount code. If you want to save money while you shop, don’t forget to add your Hotter Shoes discount code! Apart from Clarks there are other online shops at couporando.co.uk in category shoes. Nice coupons and rabates to Office Shoes, Schuh are waiting to be found! Enter your payment details and click 'Place order now'. Be sure to spread the word to your friends about how Hotter Shoes discount codes can help you save on your favourite shoes! Standard UK delivery begins at £3.95, with options for with options for Click and Collect and International delivery also available. 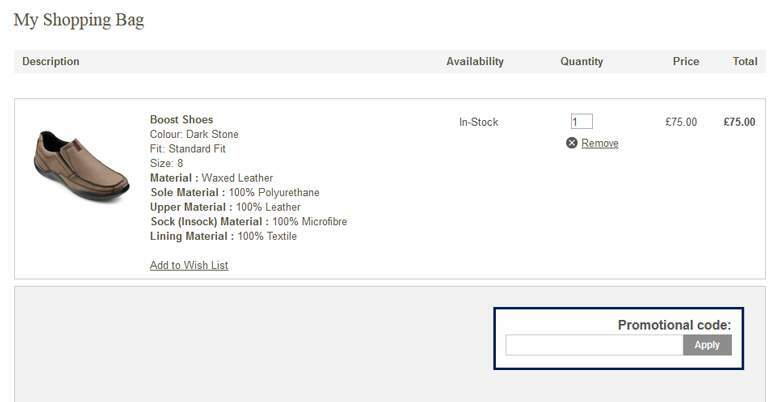 If you need to return a product for any reason to Hotter Shoes, you can simply return it within 90 days thanks to their no-quibble guarantee. Need to contact the team at Hotter Shoes? Whether you have a question about your order, want to find out more about the Hotter Comfort Concept or simply want to know how you can save money with Hotter Shoes voucher codes, you can contact the Customer Services department by telephoning 0800 083 8490. Want to find out more about what's going on behind the scenes at Hotter Shoes? The company maintains profiles across all of your favourite social media networks. Follow them for sneak previews of new collections, competitions, Hotter Shoes voucher codes and more. Maybe you will finde some more Hotter Shoes voucher codes. Like Hotter Shoes on Facebook - look on Facebook maybe you'll finde some Hotter Shoes promotional code. Check! Don’t forget to check them regularly, as you can never be sure when a free Hotter Shoes discount code might be waiting for you! Hotter Shoes promotional code is really the best choose for your shopping. As well as offering you the chance to make big saving with Hotter Shoes discount codes, did you know the company also hosts regular sales that provide you with an opportunity to save even more money? For example, right now they’re running a women’s shoes sale with more than 50% off selected shoes. From elegant flats and cosy sandals to smart brogues and winter boots, it’s the perfect time to shop for all the shoes you need to complete your wardrobe – without having to spend a fortune. If you’re anything like us, you struggle a little to get through the day without your daily dose of shoes. So don’t while away your days dreaming of the latest footwear, just sign up to the Hotter Shoes newsletter and you’ll get a regular dose of everything shoe-related delivered straight to your inbox. Whether it’s keeping abreast of all the latest fashions or letting you know about what exciting new collections they have in stock, the newsletter is jam-packed with everything you need to know about you favourite shoe brand. All you need to do is visit hotter.com and enter your email address to sign up. Now you’ll be the first to know about sales, exclusive offers, new arrivals and seasonal trends, as well as enjoying Hotter Shoes discount codes delivered direct to your email for you to use the next time you shop. Shopping for the perfect gift can be difficult, particularly when it’s Christmas and you have a million other things on your mind, or when it’s a birthday for somebody you haven’t seen in a while. So don’t run the risk of giving something that will sit unloved at the back of a cupboard for years – give the fantastic gift of a Hotter Shoes gift card. All you need to do is visit hotter.com and you can purchase gift cards in denominations ranging from £5 and up, which can then be exchanged for a wide range of products on the site. And don’t forget that they can save even more by combining their gift card with Hotter Shoes voucher codes. Buy now online at www.hotter.com. The older I get, the more I want comfortable shoes – but I still want to look good. With a Hotter Shoes discount code I can get great deals on a wide range of stylish footwear for walking, going out and everyday wear. So whether I’m planning a night dancing or a day climbing hills, I can be sure my feet won’t let me down. What’s more, with Hotter Deals voucher codes I can make fantastic savings on everything I buy, so my money goes further – which means more great shoes for me!